Ways to get connected and feel at home, even if you've never been to New Beginnings before! An amazing celebration of our RISEN SAVIOR! ▸ What should I wear? 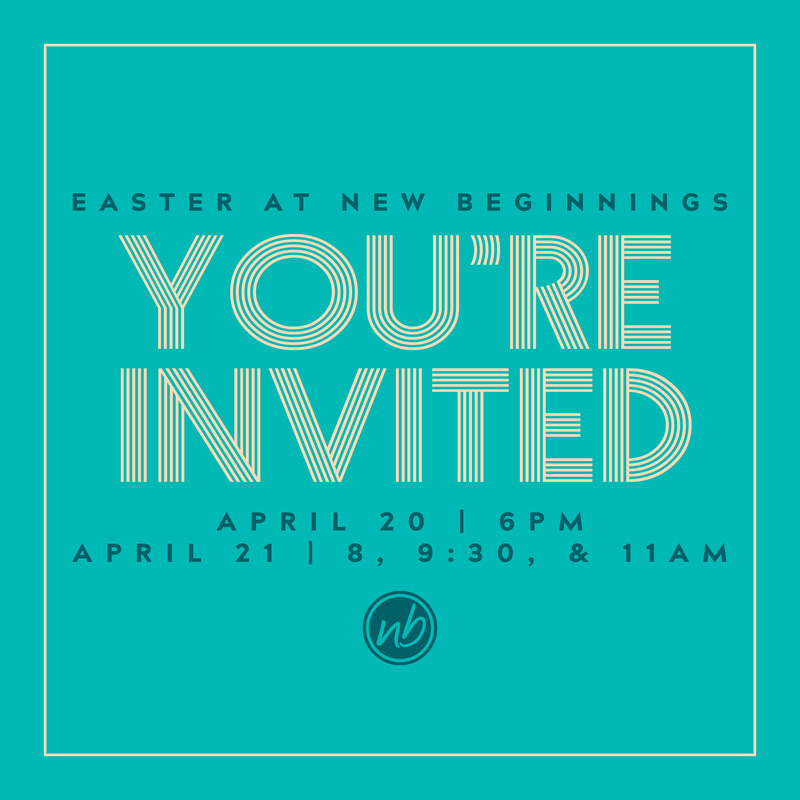 Whether you are most comfortable in a three-piece suit or blue jeans and a t-shirt, we just want you present to celebrate Easter with us! ▸ What options are there for kids during services? 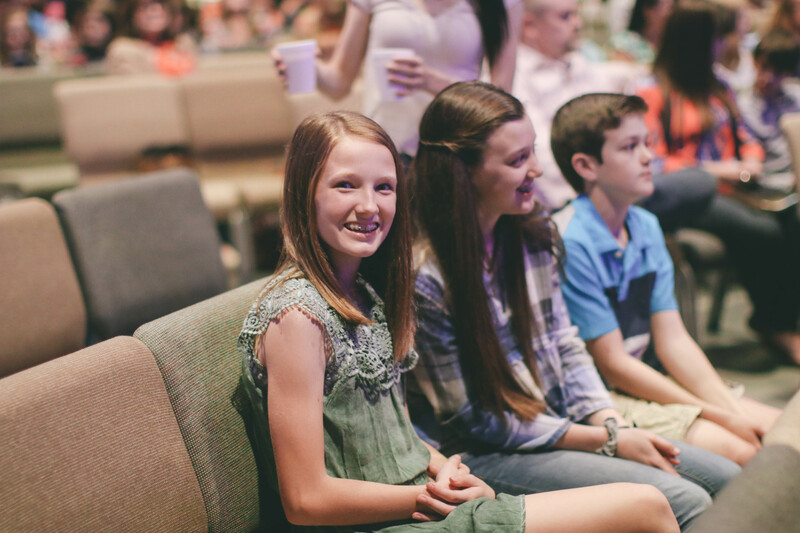 Our NB Kids Leaders are excited to celebrate our Risen Savior with your child, and have lined up age-appropriate lessons straight from God's word! We offer special programming for children ages birth-5th Grade. ▸ How long does the service last? 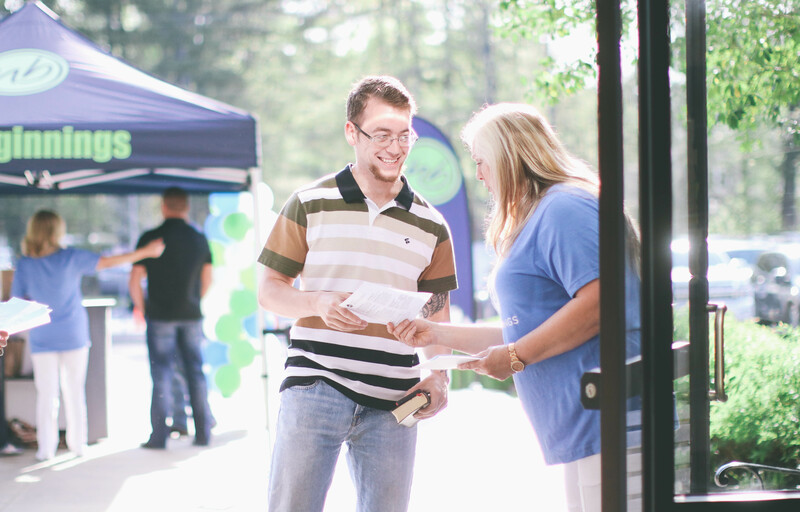 Each service lasts approximately one hour, and includes worship and a message from God's word. ▸ What if I need assistance while I'm at New Beginnings? Our staff is excited to greet you and help out in any way they can. Just look for individuals in the blue shirts with the New Beginnings logo on it! 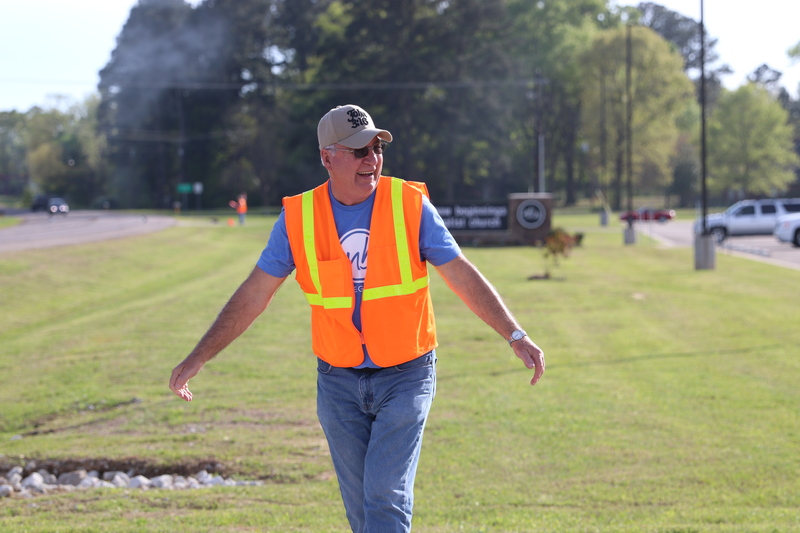 We have a variety of ways you can serve during Easter! From greeting guests to brewing fresh coffee, there are countless ways you can help out! 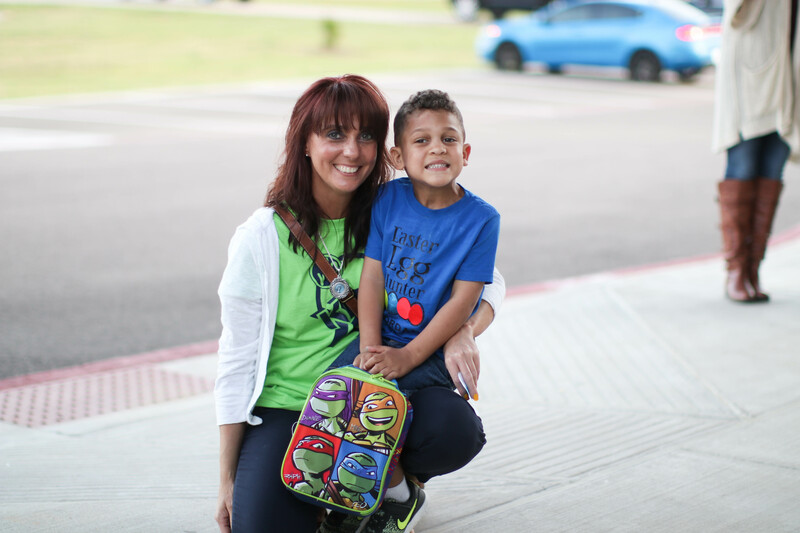 Click the button below to sign up for our serve team. Download an Easter image to share online or send to your friends! 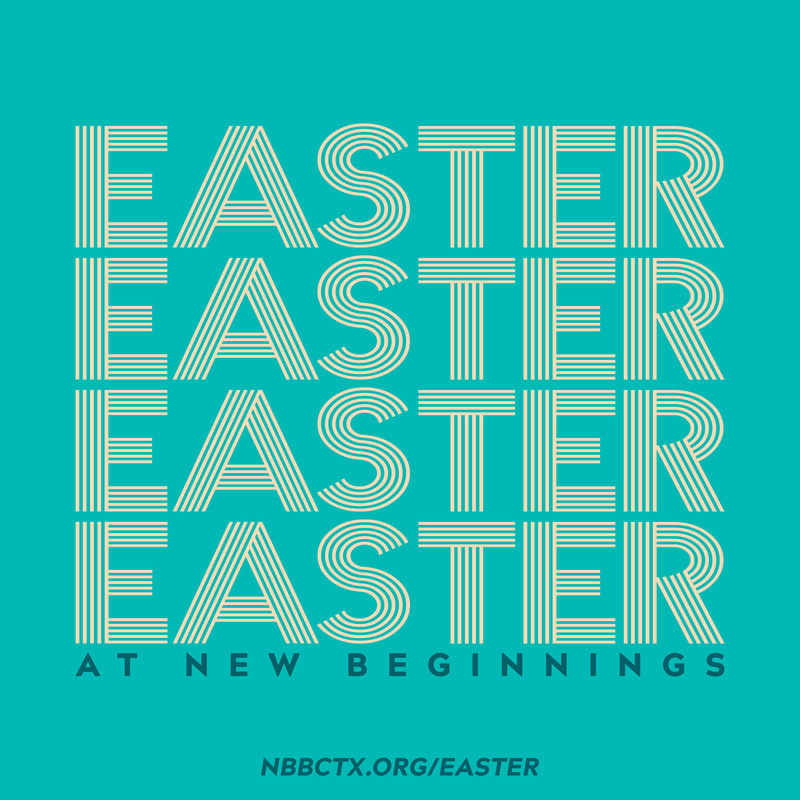 Remember to use the hashtag #EasterAtNB, and tag @nbbc_tx in your post! Get connected, grow in community. Download the New Beginnings app on your device's App Store to watch sermons, get connected, stay informed about upcoming events and more.